Are you ready to start core strengthening exercises? Knowing how to activate your deep abdominal and pelvic floor core muscles is key to successful core strengthening exercises. Stabilise your core to help resolve lower back and pelvic problems. Scroll down below this video for Physical Therapy exercises for progressing and when to use your core muscles during your everyday activities. Where are Your Core Muscles? Your core muscles are the muscles around your trunk. Diaphragm at the top or lid top of your core. Your core muscles should all work together to provide your spine and pelvis with a cylinder of support. When your core muscles work well together they help keep your pelvic floor, lower back and pelvic joints strong, stable and healthy. 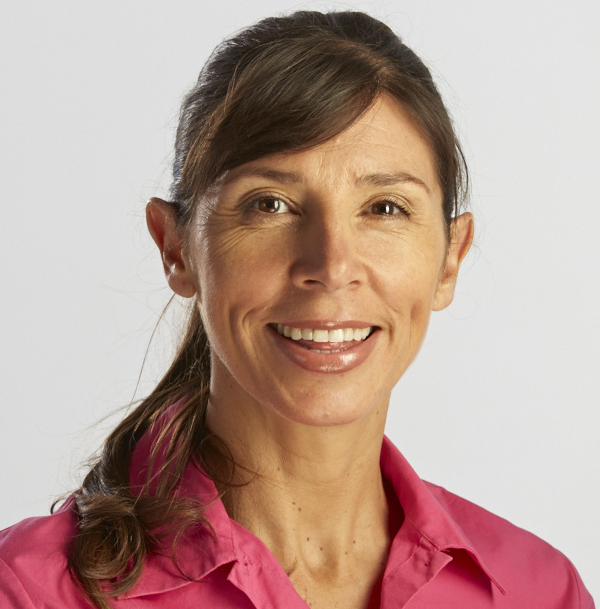 Bladder, bowel and/or prolapse problems can occur when the strong outer abdominal muscles (‘6 pack muscles’) overpower the pelvic floor muscles. This image (right) shows how the pelvic floor is forced down when overpowered by strong outer abdominal muscles. Lower back and/or pelvic stability problems can develop when your deep core muscles aren’t working well. When the spine or pelvis is injured the deep stabilising core muscles stop working well and often require retraining with core stability exercises. Core stability exercises help you regain core strength and control for long-term lower back and pelvic recovery. Transverse Abdominis muscles wrap around the trunk in a deep corset-like layer. This deep position often makes it difficult to correctly activate Transverse Abdominis and to know whether or not these muscles are working as they should. Use the fingers of both hands to feel the area of your lower abdomen just inside your pelvic bones (i.e. slide off your pelvic bones towards your navel). One method of feeling Transverse Abdominis is to cough slightly and feel your muscles tighten (contract) beneath your fingers just before you cough. To contract Transverse Abdominis gently draw in the area of your lower abdomen that sits below your underwear (briefs). This is a very gentle action can be difficult to feel when you start out. Try to breathe normally as you keep your abdominal muscles gently braced. This beginner core exercise trains the deep abdominal (Transverse Abdominis), pelvic floor muscles and deep spinal muscles (Multifides) to work together. Start lying down flat with both knees bent and feet flat on the ground (shown right). Here are 3 ways to progress your core abdominal exercises. Use the same core exercise technique outlined above when sitting. Repeat seated core exercises up to 10 times in a row, 3 times daily. Repeat standing core exercises up to 10 times in a row, 3 times daily. Doing seated core strengthening exercises on an exercise ball can help you progress your core training. Start out sitting on the exercise ball and practice the basic seated core abdominal exercise described above. Make sure you have the right size exercise ball before starting. Moving one leg at a time while sitting on the ball. Remember to contract your abdominal muscles while you perform these exercises. Perform short sequences of exercises of up to 10 exercises in a row, resting and repeating the exercises. Contract your pelvic floor muscles before and during any activity that place a load on your pelvic floor for example, when you lift, cough, sneeze or jump. 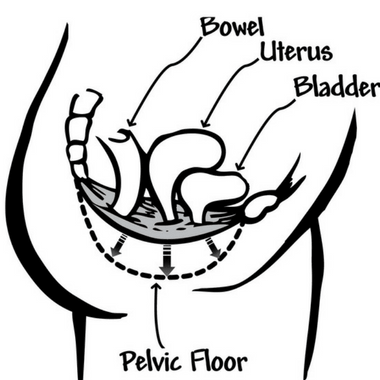 Avoid tensing or contracting your pelvic floor muscles constantly. Holding your pelvic floor muscles for too long without relaxing them can cause them to become tense, painful and unable to relax. Your pelvic floor exercises increase the strength and endurance of your pelvic floor muscles and train them to work better when you do activate them. Contract your deep abdominal muscles during your everyday activities. Transverse Abdominis are postural muscles and they should be able to work for extended lengths of time to support your spine and pelvis as you move. You can practice contracting your deep abdominal muscles when you move for example when you walk, carry, lift, bend forward and move from sitting to standing upright. Progress your core strengthening exercises into sitting, standing, walking and regular exercise ball routines. Strengthen and tone your core abdominal and pelvic floor muscles safely with this Physiotherapist-guided core abdominal workout DVD. This DVD is a pelvic floor friendly workout for women. I was wondering what you think about this exercise equipment? LegMaster Total Body Toning & Strengthening Machine. It claims to strengthen the pelvic floor. I had a hysterectomy a year ago due to prolapse, but my prolapse is still a problem. Looking for safe exercise equipment to use. This piece of equipment doesn’t involve any active pelvic floor contraction through full range of movement so I’d like to see the research conducted to make this claim. Looking at the equipment it does more for biceps (upper arm) strengthening than leg toning. It simply uses the adductors (muscles inside the thighs) and not through resisted full ROM. Hope this helps!